Market segmentation data can include a variety of characteristics, including gender, socio-cultural, financial, political, and more. The American Community Survey (ACS), conducted yearly by the U.S. Census Bureau, provides current social and economic data on American communities. Data collected through the ACS survey is very useful when doing market research for business or industry. 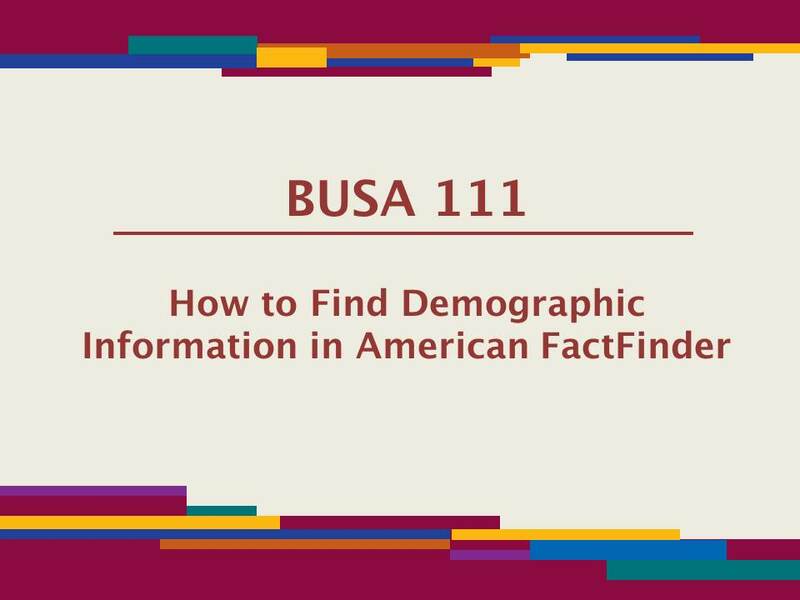 Using the American FactFinder, you will retrieve specific data sets for the metropolitan/micropolitan statistical area (MSA) you were assigned. 3. Use the search options on the left side of the screen to find the dataset related to your MSA. First select Geographies for a list of geographical areas. 4. Using the drop-down menu, select Metro Statistical Area/Micro Statistical Area. This option appears twice in the drop down list. Select the option that ends in the number 310. 5. Select your assigned MSA from the list of results and click the Add Your Selections button. This will add your MSA to the Your Selections section located on the left side of the page. Close the window by clicking the Close button. 6. Now that your assigned MSA has been selected, you can access data tables for that area. To do this, select the Topics tab from the left side of the page. a. Within the topics tab select People, then Education, and Educational Attainment. This will add educational attainment to Your Selections. d. Find the Educational Attainment section of the data set. Copy this information into an Excel spreadsheet in order to create a pie chart. 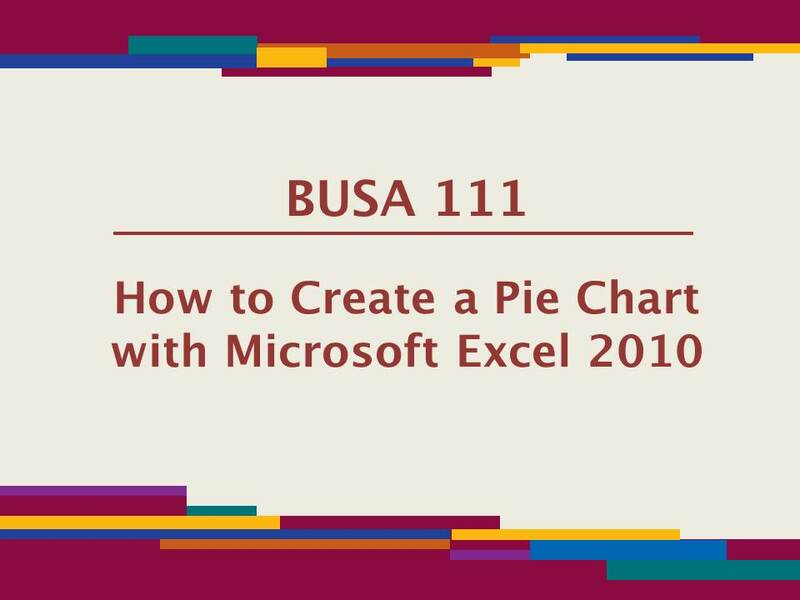 Watch the video tutorial on this page to learn how to create pie charts in Excel. Remember to not include "less than 9th grade" or "9th to 12th grade". d. Find the Income and Benefits section of the data set. Copy this information into an Excel spreadsheet in order to create a bar chart. Watch the video tutorial on this page to learn how to create charts in Excel. Remember to not include "median household income" or "mean household income."